Samsung Singapore pada tanggal 21 April kemarin telah mengumumkan kontes pengembang aplikasi Samsung App Challenge untuk Samsung Gear. Kontes ini berlaku untuk pengembang yang berbasis di Singapura yang ingin bermitra dengan Samsung untuk membawa mimpi aplikasi mereka menjadi realitas. Kontes ini mengundang pengembang yang telah memiliki aplikasi dan pengembang baru untuk membangun aplikasi yang mengintegrasikan Samsung Mobile SDK atau Samsung Gear SDK. Aplikasi Anda akan mendapatkan merchandise aplikasi premium pada Samsung Apps regional. Merchandise aplikasi ada di semua solusi rekomendasi Samsung Apps. Potensi kerja sama dengan operator regional di Asia. * Syarat dan ketentuan untuk kontes tercantum di bawah ini. Apa yang harus saya lakukan sebagai pengembang aplikasi mobile? Kirim proposal sederhana untuk Samsung yang menggambarkan aplikasi Anda dengan screenshot. Tanggal akhir pengajuan proposal - 30 April 2014. Anda mendapatkan waktu pengembangan selama 2,5 bulan untuk aplikasi ini. Kirim aplikasi yang diusulkan ke toko aplikasi Samsung Apps sebelum tanggal 30 Juni 2014. Deskripsi sederhana dari aplikasi Anda (yang sudah ada atau baru), sebaiknya dengan screenshot. Genre apa dari aplikasi Anda harusnya dimasukkan? Pilih antara Live, Entertain, Learn, Connect dan Work. Jelaskan Samsung API apa yang ingin Anda gunakan. Target perangkat untuk menjalankan aplikasi Anda. Potential collaboration with regionally operators in Asia. * Terms and conditions for the contest are listed below. What should I do, as a mobile app developer? 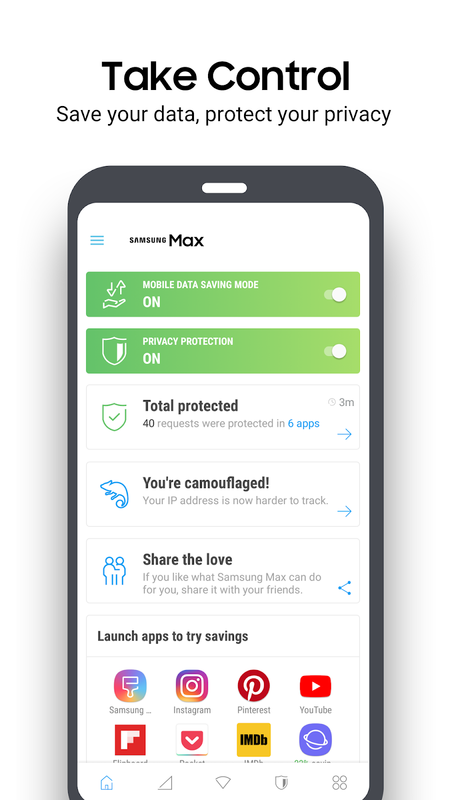 Send a simple proposal to Samsung describing your app with screenshots. Final date for submission of proposals - 30th April 2014. You get a development time of 2.5 months for this app. Submit proposed apps to Samsung Apps store by 30th June 2014. Simple description of your app (existing or new), preferably with screenshots. What genre does your app fit into ? Choose between Live, Entertain, Learn, Connect and Work. Describe which Samsung API you intend to use. The target device on which your app will run. 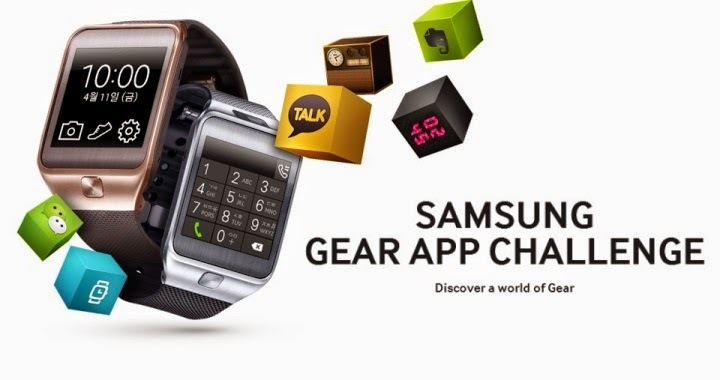 "Samsung App Challenge" Competition (the “Competition”) is organised by Samsung Asia Pte. Ltd. ("Samsung") to motivate and reward developers who update or create new mobile apps for Samsung smartphones, tablets and other products, and publish them in the Samsung Apps Store. The Competition is open to applicants who are (a) legally registered and subsisting corporate entities; or (b) individuals who are 18 years and above as stated on their NRIC/Passport (as of 25 April 2014) and have reached the age of majority in his/her home country (“Individual Applicant”); or (c) 2 or more Individual Applicants of not more than five (5) members per team. Each applicant warrants that the applicant has the legal capacity and/or the full right and authority to participate in this Competition in accordance with these Terms and Conditions. For applicants entering the Competition as a member of a team, each applicant understands and agrees that all members of the team must meet the eligibility criteria and agree to these Terms and Conditions. By participating, each applicant warrants that the applicant has obtained the appropriate agreement and/or approval by all team members. In addition, if the team is selected to receive a prize, the team is responsible for ensuring the prize is appropriately distributed or shared between team members, and all members agree that the member of the team designated to receive the prize is authorised to do so on behalf of all the team members. By participating in this Competition, each applicant agrees to be bound by these Terms and Conditions. All rules and regulations and instructions issued by Samsung from time to time will be deemed incorporated in these Terms and Conditions. Samsung reserves the right to amend the Terms and Conditions of the Competition at any time, without prior notice. To participate in the Competition, each applicant shall submit the proposal application form and materials through the e-mail address dev.asia@samsung.com in accordance with the instructions on the Competition Website and with all required details duly filled in. Each valid submission hereunder shall be referred to as an "Entry”. Each Entry shall include an associated, new or updated Android or Tizen application utilizing Samsung SDK that is published in the Samsung App Store (and subject to the applicable service terms and conditions) before the Competition deadline. The application must be able to be published globally, and shall be made available to users free of charge, or for those which attract charges, there should be a free trial version available to users. The application must fall into either one of the following categories: a) Live: new or enhanced existing Android\Tizen application that enables users to relax or explore new interests; b) Entertain: new or enhanced existing Android application that enables users to be entertained, e.g. movie/ TV apps; c) Learn: new or enhanced existing Android application that enables users to be educated or for young parents with children; d) Play: new or enhanced existing Android application that enables gaming; e) Connect: new or enhanced existing Android application that enables users to keep in touch with friends and the world; f) Work: new or enhanced existing Android application that enables users to work with better productivity; g) Navigate: new or enhanced existing Android application that enables users to find their way to places of interest. There is no limit on the number of Entries each applicant may submit, but each winner shall only be entitled to one (1) prize for the entire Competition, regardless of the number of Entries submitted. Each applicant stands the chance to win attractive prizes, as may be specified on the Competition website or other materials. All prizes relating to marketing and promotion of the application (such as having the application featured on GALAXY Life, and other Samsung channels/ properties) shall be subject to other applicable terms and conditions, with the duration of the promotion, placement of application in the channels, and other promotion mechanics subject to Samsung’s sole and absolute discretion. The Competition period will commence and close on the dates and times specified on the Competition website for the respective territories. All Entries submitted after the specified closing date(s) and time(s), or submitted through any other means other than the website, will not be eligible for the Competition. Any complaints on missing and/or delayed submissions shall not be entertained. The selection and number of judges, and the manner in which each Entry is judged or evaluated, shall be at Samsung’s sole and absolute discretion and the judges' and/or Samsung’s decision is final. No enquiries, appeals, verbal or written, shall be entertained. Entries will be judged on a set of criteria, including without limitation (a) compliance with use of Samsung APIs and SDK; (b) the quality, functionality, real life use case; (c) aesthetic design and creativity; (d) consumer appeal; (v) creativity, uniqueness, novelty value and innovativeness. Each winner will be notified by e-mail by Samsung, with information and instructions on where/when/how to collect the prize. Winners will be required to present their NRIC/passport/ other documents for verification purposes to redeem the prize in person. A photocopy of the winner's NRIC/passport/ other documents required by Samsung and an authorisation letter signed by the winner are necessary if the prize is collected by a proxy. Each of the prizes must be redeemed within 2 months from notification by Samsung. In the event that any prize is unclaimed within such period as may be specified by Samsung, or there is no winner determined in respect of the prize, it will be donated to a charity selected by Samsung. By accessing the Competition website and/or participating in this Competition, you are communicating with Samsung electronically. By doing so, you agree to receive communications from Samsung electronically. Samsung will communicate with you by electronic mail at the electronic mail address provided by you or posting notices on the Competition website or any other website that may be generally designated in advance for such purpose. You consent to receiving electronically all agreements, notices, disclosures and other communications that Samsung provides to you. Each applicant represents and warrants that (i) the Entry is original and has not been previously published, the applicant possesses the exclusive rights to each Entry submitted hereunder has the full and unrestricted right to transfer the same to Samsung free and clear of any claims or encumbrances, and that the Entry shall not infringe the intellectual property, privacy, publicity or other rights or interest of any third party or result in any other liability; (ii) the Entry does not contain anything that may be deemed by Samsung to be offensive, libellous, defamatory, obscene, indecent, sexually explicit, hateful, harassing or threatening or otherwise illegal, offensive or objectionable; and (iii) the Entry must not have previously won any award or prize. Samsung also reserves the right to remove and disqualify any Entry in breach of these Terms and Conditions and to report such violations to the authorities if deemed necessary. Each applicant agrees that Samsung shall be at liberty to publish, promote, copy, reproduce, transmit, display, edit, adapt, modify, create derivative works of and/or otherwise distribute or use the applicant’s particulars (including any publicly available Facebook profile photo and details) and/or the Entries (or any part thereof): (i) in connection with this Competition and/or Samsung products; (ii) for the promotion and publicity of this Competition and/or Samsung products; (iii) in any manner, format or media whether now known or hereinafter created, and in any part of the world, including without limitation on online platforms such as Facebook and YouTube; (iv) at Samsung's sole direction; and (v) royalty-free and without any obligation of attribution or consent. For the avoidance of doubt, Samsung expressly reserves the right to adapt, edit and/or modify each Entry to include any logo, branding, name, mark, product image in respect of any Entry or such derivative work thereof, for any promotional or marketing purposes of Samsung branding and/or products. Each applicant agrees to take part in any and all marketing, promotional, publicity exercises with respect to the Competition; agrees for Samsung to use the applicant’s name, voice, photograph, likeness or other personal identifiable information in any media for the promotion and publicity of this Competition and/or Samsung products; and grants to Samsung all consents and waivers necessary hereunder, including in respect of any promotional photographs and/or audio/ video recordings taken in respect of the Competition. Each applicant acknowledges and agrees that each Entry may be made available by Samsung for viewing and commenting on by the public, and that comments or ratings that applicant disagrees with or is unhappy about may be published or otherwise become associated with Entry. By submitting Entry to Samsung, each applicant waives any privacy expectations that the applicant may have with respect to the Entry. As a condition of the Competition, where required by Samsung, the winners shall enter into a separate agreement in writing setting out all other applicable terms and conditions, including any confidentiality obligations and intellectual property ownership rights. Samsung reserves the right to disqualify any applicant suspected of fraud, or if Samsung believes that applicant's results has been manipulated by machines or computers. Samsung reserves the right to change or substitute the prize to other prize(s) of a comparable or other value if deemed fit. Prizes are not exchangeable for cash. Samsung reserves the right to not award any prize if it does not receive a sufficient number of eligible and qualified Entries (as determined in Samsung’s sole discretion). All decisions by Samsung are deemed final and no correspondence or further claims will be entertained. If this Competition is interfered with in any way or is not capable of being conducted as reasonably anticipated due to any reason beyond Samsung's control, Samsung reserves the right in its sole discretion, to the fullest extent permitted by law: (a) to disqualify any entrant; or (b) to modify, suspend, terminate or cancel the Competition, as appropriate. Samsung makes no guarantee of the availability of its web services and will not be held responsible for interruption of service that may interfere with the ability to participate in the Competition. Samsung does not undertake any responsibility or obligation to ensure that any prize will be delivered, by the sponsors or otherwise, to any prize winner. To the fullest extent permissible under applicable law, Samsung disclaims all warranties and representations of any kind, express or implied, including any representation that any prize shall be delivered or transferred to the winner(s). Except for any liability that cannot be excluded by law, Samsung (including its officers, employees and agents) excludes all liability (including for negligence), for any personal injury, or any loss or damage (including loss of opportunity), whether direct, indirect, special or consequential, arising in any way out of the Competition, including, but not limited to, where arising out of the following: (a) any technical difficulties or equipment malfunction (whether or not under Samsung's control); (b) any theft, unauthorised access or third party interference; (c) any Entry, claim or prize(s) that is late, lost, altered, damaged or misdirected (whether or not after receipt by Samsung) due to any reason beyond the reasonable control of Samsung; (d) any variation to the prize(s) value to that stated in these Terms & Conditions; (e) any tax liability incurred by a applicant; or (f) use of the prize(s). Employees and agents of Samsung, their respective families, households or anyone professionally connected with this Competition (in Samsung's opinion), are not eligible to enter this Competition. Each applicant (for the avoidance of doubt including each individual applicant on a joint and several basis) agrees to indemnify and hold Samsung harmless from and against any and all claims, damages, liabilities, costs and expenses (including legal costs on an indemnity basis) arising from the alleged or actual infringement of any third party copyright, patent, trademark or other intellectual property rights, or other rights, any breach of these Terms and Conditions and/or arising out of or in connection with the Competition. Except where expressly provided herein, each applicant shall bear his/her own costs and expenses incurred and/or arising from the applicant’s participation in the Competition, and no reimbursement may be sought from Samsung and/or the sponsors. Each applicant shall not, without the prior written approval of Samsung, speak to the press or any other media, or give any interviews or comments relating to the Competition. These Terms and Conditions shall be governed and construed in accordance with the laws of Singapore, and each applicant irrevocably submits to the non-exclusive jurisdiction of the courts of Singapore.